Inside Your Outside: All About The Human Body (Cat In The Hat's Learning Library) Just $5.08 Down From $9! You are here: Home / Great Deals / Amazon Deals / Inside Your Outside: All About The Human Body (Cat In The Hat’s Learning Library) Just $5.08 Down From $9! Inside Your Outside: All About The Human Body (Cat In The Hat’s Learning Library) Just $5.08 Down From $9! 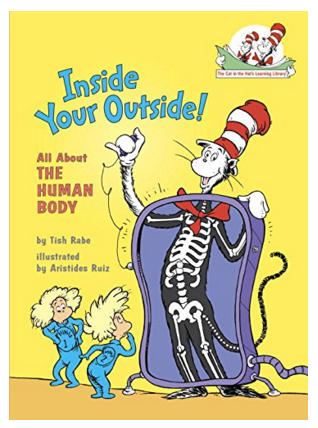 Make learning the human body fun with this great Amazon deal on Inside Your Outside: All About The Human Body (Cat In The Hat’s Learning Library) for just $5.08 down from $9! Get yours now while it lasts!